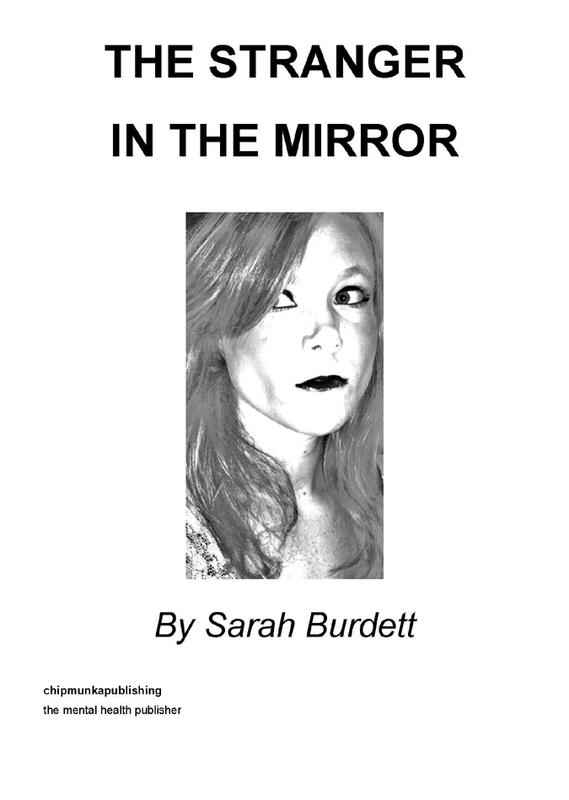 Much of the material constituting The Stranger in the Mirror is taken directly from the diary kept by Sarah during her time at the University of East Anglia. The content is thus incredibly raw, and sincere. Even the more fictional writings are deeply rooted in personal experience. Whilst certain pieces capture the anger, self-loathing, and isolation experienced whilst the depression was at its worst (‘Sixty Minutes’, ‘The Life of the Misanthropist’, ‘The Fisherman’), others convey the hope and strength renewed in the author during her rehabilitation process (‘Re-Awoken in The Spring’, ‘Hope’). The concluding poem (‘The Book’) is Sarah’s most recent creation. Written much later than its predecessors, ‘The Book’ is unique in that it focuses on the writing process itself, exploring the author’s initial apprehensions concerning the publication of the anthology’s exposing material. The poem presents the sufferer’s progression from abashment and concealment, to acceptance and disclosure. It is this precise progression which Sarah seeks to incite in fellow sufferers of depression. Sarah Catherine Burdett was born on the 22nd March 1990 in Enfield, North London. She attended Chace Community School from 2001 – 2008, before starting a degree in English Literature at The University of East Anglia, in September 2008. During her second year at University, aged 19, Sarah was diagnosed with depression and anxiety. She was started on a course of anti-depressants and referred to a cognitive behavioural therapist. Failing at first to respond well to the medication, it was suggested that Sarah intercalate from her studies and return to University once better, but she was determined to complete her course. Her determination paid off, when, in July of 2011, Sarah graduated from UEA with a Starred First Class Honours Degree, and was awarded the Faculty prize for Outstanding Academic Performance in the Final Year. She is now studying for a postgraduate degree in Romantic and Sentimental Literature at the University of York. Sarah admits to having initially been afraid of opening up to others about her depression, for fear of being perceived as weak, or “mad”, and thus used writing as her only means of liberation. Having since experienced first-hand the benefits of confiding in others about her illness, Sarah hopes that through offering such unaffected accounts of her experiences, she can inspire fellow sufferers of depression to break their own silence, by assuring them that the illness is not something of which they should feel ashamed, and seeks simultaneously to encourage her readers that even the most severe feelings of hopelessness can be overcome. Sarah is incredibly grateful to chipmunka publishing for enabling her to turn something so negative – her battle with depression – into something so positive – the publication of her first book. He found a bottle with a message in it. He wanted to read it but he couldn’t get it out. It remained inside, wedged in the neck. Bottled up. She doesn’t speak to him much any more. Not because she doesn’t want to, but because she can’t. August 2007. She should have felt great. Instead she felt relieved. Relieved that he was almost smiling, relieved that he seemed proud, relieved that she might have achieved enough to make him love her. But he never said well done. So why turn up the radio so that no one can hear her crying? Why tear down the photograph from the wall because she hates being constantly reminded of what it is that she’s thrown away? Why spend the entire night lying awake wishing that she was anyone other than herself? Because she’s trapped, in that bottle. Too scared to admit that her attempts will amount to nothing. Too scared to admit that she’s never going to be happy. Too scared to admit how much he means to her, how everything she’s ever done has all been done for him, how she’d literally throw herself off a cliff if she thought it’d make him notice her. October 2007. She sings a solo at a school concert. He wasn’t in the crowd. And she wanted him there. She needed him there. It all means nothing to her if he’s not there to share it with her. She’s desperate, so desperate for him to love her.